The Inserom project is a Grundtvig Lifelong funded programme. The organizations involved in the project (LDH, AEDH, BEMIS, CHC and APDHA) work closely in the field of Human Rights and Roma communities. In our work as organizations for the defence of Human Rights we have experienced first-hand many cases where Roma communities suffer various forms of discrimination across Europe. The Roma community originally came from the Indian origin, which make up the largest ethnic minority in Europe. Most Roma live in Central, Eastern, and South-East Europe and constitute between 6-11% of the populations of Bulgaria, former Yugoslav Republic, Macedonia, Romania, and the Slovak Republic. Roma describe themselves as Romas’, Gypsies, Travelers, Manouches, and Sinti. 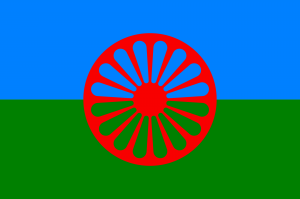 The spoken language of the Roma community is Romani’s, an Indic language which is closely related to Hindi. Many dialects exist, but there is broad recognition of the unity of Romani’s. The marginalization and segregation of Roma communities across Europe has been a cause for concern as there is a rise in Western Europe in anti-Roma violence as a reaction to real and perceived increased migration. Roma across Eastern and Central Europe is marked throughout history byracism and human rights abuses. There is strong statistical evidence which suggests that the Roma community often suffer higher instances of illness and greater mortality in comparison to the majority ethnic population. This may be true, in part, to the prevalence of poverty, inequity in health, education, housing and employment. Reference Book based on legislations, procedures and knowledge related to the discrimination suffered by Roma people who live in Europe and in the participating countries. Trainers guide with a complementary list of activities to empower the Roma Community to understand and actively ensure there rights are not being violated. Equally, this toolkit aims to develop a coordinated approach across Europe to reduce instances of discrimination and prejudice against the Roma community by building knowledge, understanding and skills and in Scotland’s case support public bodies to complement their equality duty. Similarly, the guidelines will assist community practitioners to develop knowledge, understanding and skills which they can use to support the Roma community building civic competences. Final stages of the project: A conference was delivered in Brussels in June by all partners and recommendations taken forward.